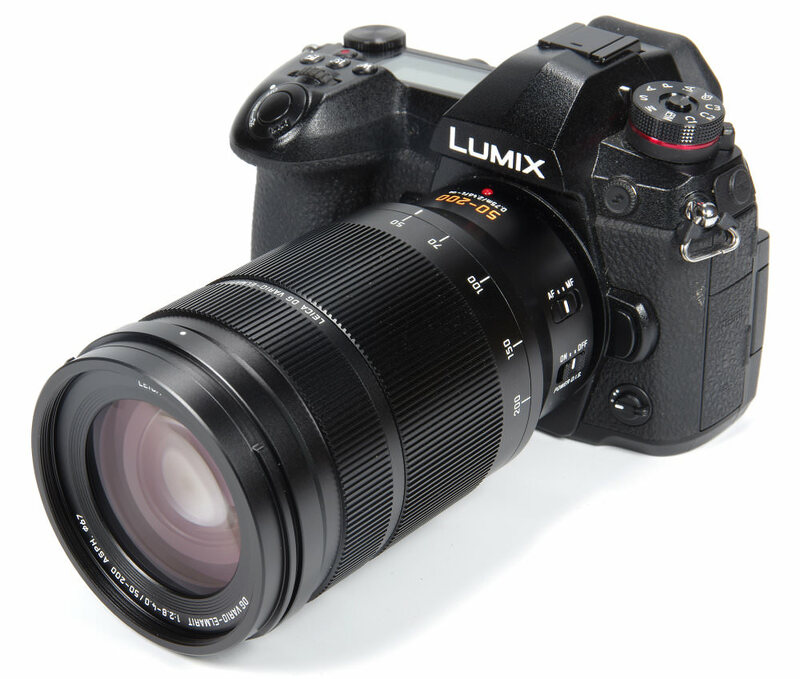 John Riley reviews the new Panasonic Leica DG Vario-Elmarit 50-200mm f/2.8-4.0 ASPH. 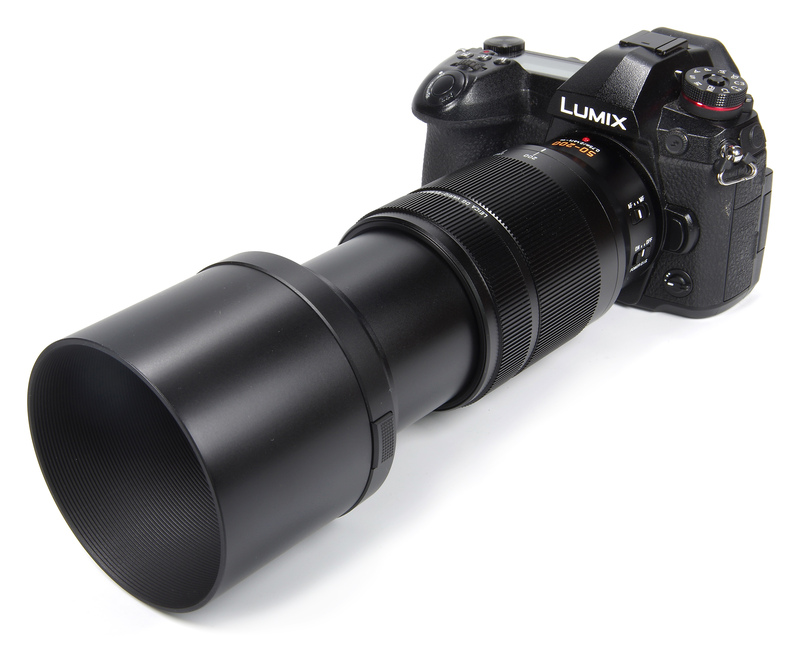 telephoto zoom lens for Micro Four Thirds cameras. The third in a series of three Power OIS lenses from Panasonic, the first two being the 8-18mm and 12-60mm. Taking into account the 2x crop factor, the new 50-200mm has the “35mm-format equivalent” field of view of a 100-400mm lens. This is a very useful and powerful telephoto zoom specification, so provided the performance is up to scratch we have potentially a lens of choice for a wide variety of sports and wildlife applications. Let's have a closer look using the Panasonic Lumix G9 camera body. The glossy black finish of the lens is impressive, but even more so is the high overall quality of the finish. All the controls are smooth and the whole gives a solid sense of being made to last. The construction is billed as splash, dust and freeze proof, operating at least down to -10C. The lens is compact and relatively light at 655g, especially if we compare it against any typical full-frame 100-400mm optic. Starting at the front, we are supplied with a large bayonet fit lens hood, complete with locking catch. This surrounds a standard 67mm filter thread. The lens does not rotate on either zooming or focusing, so using polarising and graduated filters is facilitated. The manual focusing ring is firm but smooth, operating electronically. The AF though is so fast and precise that manual focus may not be needed most of the time. The zoom ring is broad, operates very smoothly and is clearly marked in various focal lengths. Zooming does extend the lens, but balance remains good. Focusing is down to 0.75m or 2.46 feet. This represents a maximum magnification of 0.25x, or 1:4, usefully close. There are just two switches closest to the camera body, the AF/MF and the on/off switch for the Power OIS (Optical Image Stabilisation) system. This system will work in conjunction with in-body stabilisation where supported. The metal bayonet mount carries the electronic contacts to communicate with the camera and is engineered to a very high standard. 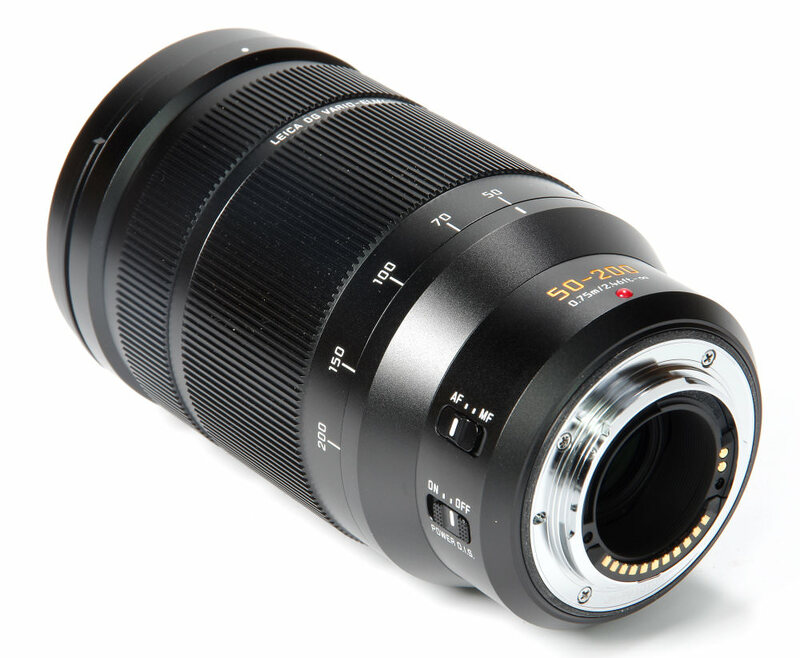 There is no play whatsoever in the lens mounting, which is silky smooth and solidly secure. Optical construction of the lens comprises 21 elements in 15 groups, of which there are 2 Aspherical, 2 UED (Ultra Extra Low Dispersion), 2 UD (Ultra Low Dispersion) and 1 UHR (Ultra High Refractive Index). Panasonic uses a nano surface coating to eliminate flare and ghosting, without which a 21 element lens would not be a viable proposition. The diaphragm has 9 blades, aiming to improve the quality of the out of focus areas or bokeh. The lens is compatible with 1.4x and 2x teleconverters. Out in the field, there is really everything to like about the way the lens handles. Focusing is fast and precise, controls are slick and there is nothing to get in the way of the photography. Ergonomically, it is superb. The fast, bright aperture is another advantage that could put it ahead of many of its rivals, enabling faster shutter speeds to freeze the movement of, for example, wildlife subjects. Starting with sharpness, at 50mm the central results are excellent from f/2.8 to f/5.6, very good from f/8 to f/11, good at f/16 and only softening at f/22 as diffraction takes its hold. The edges are very good from f/2.8 to f/8, good at f/11 and f/16 and again soft at f/22. At 100mm, the centre follows exactly the same pattern as at 50mm, being excellent from f/3.6 to f/5.6, very good at f/8 and f/11, good at f/16 and softening at f/22. The edges are very good from f/3.6 to f/5.6, good from f/8 to f/16 and soft at f/22. 150mm sees the same again, with the centre being excellent from f/3.9 to f/5.6, very good at f/8 and f/11, good at f/16 and soft at f/22. The edges are very good from f/3.9 to f/5.6, good from f/8 to f/16 and soft at f/22. The longest focal lengths of a zoom are rarely, if ever, the best area of performance and it does indeed drop a little as expected. So, 200mm centrally is very good at f/4, excellent at f/5.6, good at f/8 and f/11 and softening at f/16 and f/22. The edges are good at f/4, very good at f/5.6 and softening progressively from f/11 to f/22. This is overall a very consistent performance, and well up to producing sparkling, sharp images across the focal length range. For this review, the lens was tested on a Panasonic Lumix G9 using Imatest. CA (Chromatic Aberration) is extremely well corrected. Because MFT format cameras tend to apply corrections that we cannot control or know about, even in the RAW output, it is not possible to state that the CA figures are low because of the lens design or because of the lens/camera interaction. What we can say is the CA is very tightly controlled, almost banished at the centre at all focal lengths. At its highest values, at the edges around f/11 and mid zoom settings, it is still well under control. CA is not a likely issue that will need further correction, but of course, this would be possible using software solutions, if desired. Distortion figures are also very impressive. At 50mm we have -0.02% barrel distortion. This reduces still further at 100mm to -0.01% barrel. At 150mm, distortion measures +0.03% pincushion and at 200mm +0.08% pincushion. This is as near to rectilinear as makes no difference and straight lines in an image can be expected to be reproduced as straight. Flare is not evident, with no loss of contrast or created artefacts in against the light shots. Bokeh is, of course, the smoothness of the gradation of out of focus areas and all long lenses are already ahead of the game by virtue of the reduced depth of field. This lens excels in having ultra-smooth bokeh, making it ideal for quality images with diffused backgrounds. The OIS system is a very welcome addition and it was with ease that a full 6 stops advantage could be enjoyed. Beyond that, signs of blur start to creep in. This is an amazing performance. However, it is worth remembering that this does nothing to address subject movement, so for much wildlife photography, it may well be best to switch OIS off. 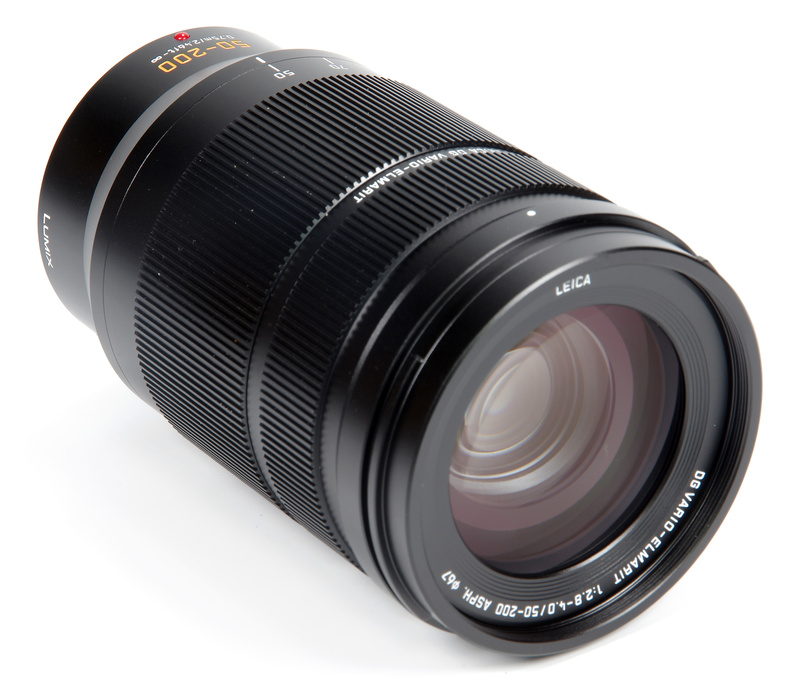 The Panasonic Leica DG Vario-Elmarit 50-200mm f/2.8-4 Lens is priced at £1599. There are some similar specification MFT lenses, not as wide in terms of apertures or range. These lenses are slower, bigger and heavier as well as more expensive, so against that the Panasonic looks pretty good value and highlights the benefits of the MFT format. For more options have a look at the Top 11 Best Panasonic Lenses or Top 35 Best Micro Four Thirds Lenses. The Panasonic Leica DG Vario-Elmarit 50-200mm f/2.8-4 is a compact and efficient telephoto zoom that delivers excellent quality. "These lenses are slower, bigger and heavier as well as more expensive, so against that the Panasonic looks pretty good value and highlights the benefits of the MFT format. 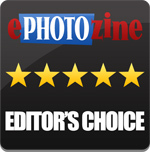 For more options have a look at the Top 11 Best Panasonic Lenses or Top 35 Best Micro Four Thirds Lenses." This ignores the fairly basic reality of equivalence - which means all these lenses are effectively faster across their ranges [because all other things being equal, if you increase ISO by two stops, you'll have the same noise performance but be able to choose a faster shutter speed at similar F stops]. I find it annoying that manufacturers are happy enough to use 35mm equivalence when it comes to focal length, but keen to ignore it when it comes to aperture. DoF control is not much of an issue at longer focal lengths [in fact more can be a positive advantage]. I also doubt this lens would have much practical application at smaller apertures, so the tail off in performance due to diffraction isn't a huge issue either. Overall light gathering is the important thing and all those lenses in the comparison will trounce the Panasonic. They'll do it at the expense of considerable weight and that's where the MfT system represents a huge advantage. But it really is silly to pretend the speed/quality comparison is in the Panny's favour. You'd need to study resolution charts side by side to see which comes off best, but as the 35mm lenses would be tested on much higher resolution bodies, it's hard to predict the comparison would not be quite hard on this Elmarit. To end on a slightly more positive note it's not quite as overpriced as I was expecting and might even drop to something realistic once it's been around a while. "These lenses are slower, bigger and heavier as well as more expensive, so against that the Panasonic looks pretty good value and highlights the benefits of the MFT format. For more options have a look at the Top 11 Best Panasonic Lenses or Top 35 Best Micro Four Thirds Lenses." This ignores the fairly basic reality of equivalence - which means all these lenses are effectively faster across their ranges [because all other things being equal, if you increase ISO by two stops, you'll have the same noise performance but be able to choose a faster shutter speed at similar F stops]. I find it annoying that manufacturers are happy enough to use 35mm equivalence when it comes to focal length, but keen to ignore it when it comes to aperture. DoF control is not much of an issue at longer focal lengths [in fact more can be a positive advantage]. I also doubt this lens would have much practical application at smaller apertures, so the tail off in performance due to diffraction isn't a huge issue either. Overall light gathering is the important thing and all those lenses in the comparison will trounce the Panasonic. They'll do it at the expense of considerable weight and that's where the MfT system represents a huge advantage. But it really is silly to pretend the speed/quality comparison is in the Panny's favour. You'd need to study resolution charts side by side to see which comes off best, but as the 35mm lenses would be tested on much higher resolution bodies, it's hard to predict the comparison would not be quite hard on this Elmarit. To end on a slightly more positive note it's not quite as overpriced as I was expecting and might even drop to something realistic once it's been around a while. It costs more than a FF 70-200 2.8. It's not any lighter either. How is it good value?! Quote:It costs more than a FF 70-200 2.8. It's not any lighter either. How is it good value?! The value judgement combines a number of factors, including price but also relating to what the lens does, how well it does it and what the alternatives would be. It's not just a question of price equaling value, but value being an overall concept. Otherwise, every expensive lens would be poor value for money. At the other end of the scale, a very low cost lens wouldn't be good value if the images it produced were muddy and soft. A quick look at marque 70-200mm f/2.8 lenses for full frame cameras brought up weights of 2030g (Pentax), 1430g (Nikon) and 1490g (Canon). The Panasonic is 655g. The prices of these are around £1900 to £2000, but I feel the more appropriate comparison is to the 100-400mm lenses, as quoted in the review. Hope that helps! The value judgement combines a number of factors, including price but also relating to what the lens does, how well it does it and what the alternatives would be. It's not just a question of price equaling value, but value being an overall concept. Otherwise, every expensive lens would be poor value for money. At the other end of the scale, a very low cost lens wouldn't be good value if the images it produced were muddy and soft. A quick look at marque 70-200mm f/2.8 lenses for full frame cameras brought up weights of 2030g (Pentax), 1430g (Nikon) and 1490g (Canon). The Panasonic is 655g. The prices of these are around £1900 to £2000, but I feel the more appropriate comparison is to the 100-400mm lenses, as quoted in the review. I find it strange that people are so insecure about their own choice - if you favour FF, Canon, Nikon, Sony, Pentax .........whatever, fine by me, but keep your contributions to those areas because no one is interested in your views on m4/3rds. [quote][quote]It costs more than a FF 70-200 2.8. It's not any lighter either. How is it good value?! [/quote] in FF it would be a 100-400[/quote] In 'FF' it would be 100-400 [i]f5.6-f8[/i]. I've heard the comment 'f2.8 is always f2.8'. Disregarding the fact that actual aperture size varies format to format, you can say that as long as you say '200mm is always 200mm'. What actually makes f2.8 is the relationship of aperture, shutter speed and ISO setting. It's relative to shooting parameters, but nothing else. I did look at the resolution charts of the 35mm format lenses. The only one which gave figures [like the Panasonic], was the most expensive of the lot - the Sony. Just have a click on those charts and you'll see it massively outperforms the Panasonic at every focal length and every aperture. You can also better the available shutter speed/aperture settings simply by shooting at marginally higher ISOs. [You can do that up to two stops without a noise penalty relative to the smaller format]. You are paying more but you're getting an awful lot more in terms of performance. IMO it's the weight and heft that may make you go for the smaller format. If it's unfair to compare between formats on those equivalence terms, then just don't do it all. But it's not unreasonable to try and make a fair comparison so long as all parameters are considered. If one of your prime considerations is the overall system size [it's high on my list], then you might consider that the performance hit and the premium price are worth it. But let's not pretend this is a cheap/good value option, because comparing everything, it's not. In 'FF' it would be 100-400 f5.6-f8. I've heard the comment 'f2.8 is always f2.8'. Disregarding the fact that actual aperture size varies format to format, you can say that as long as you say '200mm is always 200mm'. What actually makes f2.8 is the relationship of aperture, shutter speed and ISO setting. It's relative to shooting parameters, but nothing else. I did look at the resolution charts of the 35mm format lenses. The only one which gave figures [like the Panasonic], was the most expensive of the lot - the Sony. Just have a click on those charts and you'll see it massively outperforms the Panasonic at every focal length and every aperture. You can also better the available shutter speed/aperture settings simply by shooting at marginally higher ISOs. [You can do that up to two stops without a noise penalty relative to the smaller format]. You are paying more but you're getting an awful lot more in terms of performance. IMO it's the weight and heft that may make you go for the smaller format. If it's unfair to compare between formats on those equivalence terms, then just don't do it all. But it's not unreasonable to try and make a fair comparison so long as all parameters are considered. If one of your prime considerations is the overall system size [it's high on my list], then you might consider that the performance hit and the premium price are worth it. But let's not pretend this is a cheap/good value option, because comparing everything, it's not. The f number is a ratio of lens diameter and focal length, so a 25mm wide aperture and a 50mm focal length would be an f/2 lens. What changes is that on full frame that is a standard lens, but on MFT it is a telephoto lens. The Physics of the optical world does not change. It doesn't does it - and that's the reason an imaging circle that has to cover four times the area is going to have to cover that much greater width. The fact the imaging circle covers a smaller area means the focal length is effectively magnified. If you want to pursue this relationship ad absurdum you could say the f1.8 aperture on an iPhone is 'faster' than this lens. The physical size of the aperture is tiny because the sensor is tiny, as is the amount of light needed to be projected on to it. Very few people would be foolish enough to think in practical terms that the f number on a phone is comparable to that on a dedicated imaging device. If there's a meaningful comparison there, it's with lenses on similar devices. So if you want to compare the focal lengths as equivalents to other formats, you also need to make that self-same comparison to equivalence with aperture. It doesn't need to be so difficult - you can with a cheap mount adapter put one of those 70-200 f2.8 Commander_Shepard mentioned [you lose AF - but that's not the OEMs fault, they've engineered it and paid for its manufacture] on a G9 - and guess what - it's a non-tromboning lens, a stop faster [at the now equivalent 400mm] and I'd wager a damn site sharper at that end of its range. 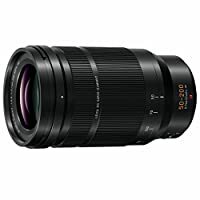 Why would it be unfair to compare it with such a lens for value? Street price is similar to the Panasonic, but there's more glass and more expense in the manufacture [one would surmise] because of the greater demands of the format. You really do have to perform some bizarre feat of double-think to arrive at the conclusion that measured with the other lenses in the comparison, this is good value for money. It doesn't does it - and that's the reason an imaging circle that has to cover four times the area is going to have to cover that much greater width. The fact the imaging circle covers a smaller area means the focal length is effectively magnified. If you want to pursue this relationship ad absurdum you could say the f1.8 aperture on an iPhone is 'faster' than this lens. The physical size of the aperture is tiny because the sensor is tiny, as is the amount of light needed to be projected on to it. Very few people would be foolish enough to think in practical terms that the f number on a phone is comparable to that on a dedicated imaging device. If there's a meaningful comparison there, it's with lenses on similar devices. So if you want to compare the focal lengths as equivalents to other formats, you also need to make that self-same comparison to equivalence with aperture. It doesn't need to be so difficult - you can with a cheap mount adapter put one of those 70-200 f2.8 Commander_Shepard mentioned [you lose AF - but that's not the OEMs fault, they've engineered it and paid for its manufacture] on a G9 - and guess what - it's a non-tromboning lens, a stop faster [at the now equivalent 400mm] and I'd wager a damn site sharper at that end of its range. Why would it be unfair to compare it with such a lens for value? Street price is similar to the Panasonic, but there's more glass and more expense in the manufacture [one would surmise] because of the greater demands of the format. You really do have to perform some bizarre feat of double-think to arrive at the conclusion that measured with the other lenses in the comparison, this is good value for money. [quote]I find it strange that people are so insecure about their own choice - if you favour FF, Canon, Nikon, Sony, Pentax .........whatever, fine by me, but keep your contributions to those areas because no one is interested in your views on m4/3rds. [/quote] You're making a big assumption there - in this case it's dead wrong as my most often used cameras are MfT format. I choose that because I like the size/weight and a lot of the time it serves the purposes of my shooting. But I do it in full knowledge of the compromises my choice implies. I don't give a damn about the name stencilled on the front of my cameras and I've used quite a few from most of the main manufacturers. There are criticisms that can [and should] be levelled at all of them. It sounds like you're the one who is sensitive to criticism of the brand/format you've chosen. Quote:I find it strange that people are so insecure about their own choice - if you favour FF, Canon, Nikon, Sony, Pentax .........whatever, fine by me, but keep your contributions to those areas because no one is interested in your views on m4/3rds. You're making a big assumption there - in this case it's dead wrong as my most often used cameras are MfT format. I choose that because I like the size/weight and a lot of the time it serves the purposes of my shooting. But I do it in full knowledge of the compromises my choice implies. I don't give a damn about the name stencilled on the front of my cameras and I've used quite a few from most of the main manufacturers. There are criticisms that can [and should] be levelled at all of them. It sounds like you're the one who is sensitive to criticism of the brand/format you've chosen. The 35mm equivalent thing really annoys me. So many reviews will say, like in this review, it's a 100-400 2.8-4 equivalent and it's only 650g , so considerably lighter than a full frame equivalent. It's not the same! The only thing that is the same is the field of view and the aperture. It doesn't take into about depth of field or compression. In full frame depth of field terms this would be 100-400 f5.6-8 which would be quite easy to make it small and light. As a full frame sensor is also about two steps better than mft the level of noise performance of the Panasonic would be about the same at the relative same apertures. What I actually did say is "Taking into account the 2x crop factor, the new 50-200mm has the “35mm-format equivalent” field of view of a 100-400mm lens." The concept of 35mm equivalence arose because digital sensors were all sorts of sizes, so something was needed to express what the field of view of a lens would be. "A 47 degree lens" would make no sense to anybody, but a 50mm lens does. When there were few formats then photographers knew that a 50mm lens on 35mm would be a 75mm or 80mm lens on 6x6cm format, but this was when photography was a more specialised hobby. It's intended to be a guide to help purchasers understand what a lens is for and will do. That's fine John and perfectly logical, but so is the corollary of equivalence in aperture. Photographers should only care about the significance of any specification to the final outcome - the image. So quarter the size of the sensor, double the focal length. But it doesn't end there - quarter the size of the sensor and increase noise by two stops, alter the DoF characteristic by those same two stops. In fact [logically] you can very simply calculate the potential light gathered by imaging area by inverse square; so each time you half the area, you half the light and that applies quite simply to lenses and the character of their in-focus range. No one is suggesting you drop the idea of equivalence of focal length for 35mm equivalent, because it is a universally understood [at least to a large degree] principle. You should not ignore what goes with it - because that's just cherry picking the advantages - and I didn't think a photography review site was here to help marketeers push the benefits while conveniently ignoring the downsides. You talk about the lenses in your comparison as being 'slower', but in practical terms they're really nothing of the sort. That's fine John and perfectly logical, but so is the corollary of equivalence in aperture. Photographers should only care about the significance of any specification to the final outcome - the image. So quarter the size of the sensor, double the focal length. But it doesn't end there - quarter the size of the sensor and increase noise by two stops, alter the DoF characteristic by those same two stops. In fact [logically] you can very simply calculate the potential light gathered by imaging area by inverse square; so each time you half the area, you half the light and that applies quite simply to lenses and the character of their in-focus range. No one is suggesting you drop the idea of equivalence of focal length for 35mm equivalent, because it is a universally understood [at least to a large degree] principle. You should not ignore what goes with it - because that's just cherry picking the advantages - and I didn't think a photography review site was here to help marketeers push the benefits while conveniently ignoring the downsides. You talk about the lenses in your comparison as being 'slower', but in practical terms they're really nothing of the sort. There is a basic misunderstanding in this, and if we think about it the exposure at any point of the field will remain the same for a given aperture. Just imagine a large sensor with an exposure of say 1/125s at f/4. Just because we put a smaller sensor in its place that doesn't change a thing - the exposure is still 1/125s at f/4. It has to be, otherwise we would under or over expose the area we are imaging with. We also wouldn't be able to use a hand held meter as every format would be different, which it clearly isn't. So any f/8 lens would therefore have to be be slower than an f/2.8 lens. The format cannot change the characteristics of a lens placed in front of it. The different field of view has other effects on depth of field and that are also easily observed. Tiny compacts have small sensors, with huge DOF resulting from the focal length used, and are usually stopped at f/8 because of diffraction. Larger cameras have less DOF, which most instruction manuals explain. As a rule of thumb I reckon 1 stop difference between APS-C and full frame, so if I use f/8 routinely on FF I might use f/5.6 on APS-C. The idea of noise is not independent of the camera, and some show little noise against all odds and some are less efficient in this. So it isn't easy to relate noise to format [i]per se[/i] but needs a case by case examination of the results. Some cameras show very well controlled noise at ridiculous ISO values. However, a review is a review that is independently offered as a guide and there's a limit to how complex it can be without boring the reader and causing more confusion than assistance. There is a basic misunderstanding in this, and if we think about it the exposure at any point of the field will remain the same for a given aperture. Just imagine a large sensor with an exposure of say 1/125s at f/4. Just because we put a smaller sensor in its place that doesn't change a thing - the exposure is still 1/125s at f/4. It has to be, otherwise we would under or over expose the area we are imaging with. We also wouldn't be able to use a hand held meter as every format would be different, which it clearly isn't. So any f/8 lens would therefore have to be be slower than an f/2.8 lens. The format cannot change the characteristics of a lens placed in front of it. The different field of view has other effects on depth of field and that are also easily observed. Tiny compacts have small sensors, with huge DOF resulting from the focal length used, and are usually stopped at f/8 because of diffraction. Larger cameras have less DOF, which most instruction manuals explain. As a rule of thumb I reckon 1 stop difference between APS-C and full frame, so if I use f/8 routinely on FF I might use f/5.6 on APS-C. The idea of noise is not independent of the camera, and some show little noise against all odds and some are less efficient in this. So it isn't easy to relate noise to format per se but needs a case by case examination of the results. Some cameras show very well controlled noise at ridiculous ISO values. However, a review is a review that is independently offered as a guide and there's a limit to how complex it can be without boring the reader and causing more confusion than assistance. I did note the consistency of exposure parameters John, which is the only thing you can say about aperture as a constant in relationship to any given format. You seemed to be questioning that as a simple principle. Noise character does change, but between cameras of a similar generation the difference will always hold true - that's dictated by physics. You use a RoT for DoF between APSc and 35mm of one stop - it's actually a little bit more than that, especially with Canon [which confusingly has a larger crop than most other sensors in the format], within the margins of error it's a more precise two stop difference for MfT. So we seem to be agreeing on that relationship [camera generations are a little beside the point because that will dictate similar differences [i]within[/i] any given format between generations]. Those differences have diminished over recent years because the technology has matured and efficiency has arguably plateaued some time ago. Gains have been incremental since [arguably] the Nikon D3s. So why is it so complicated to talk about equivalence in terms of aperture when it's apparently easy to do so in terms of focal length? The relationship is there for DoF and it's there for noise [which means you can achieve the same exposure and similar quality by adjusting ISO up and either using two f stops smaller, or doubling shooting speed. In other words, ignoring any IS involved you are gaining two stops of light. It's simple and it's as easy to express as effective focal length. Talking about those lenses in the comparison as slower - as if you're getting less for your money - is just downright misleading. I did note the consistency of exposure parameters John, which is the only thing you can say about aperture as a constant in relationship to any given format. You seemed to be questioning that as a simple principle. Noise character does change, but between cameras of a similar generation the difference will always hold true - that's dictated by physics. You use a RoT for DoF between APSc and 35mm of one stop - it's actually a little bit more than that, especially with Canon [which confusingly has a larger crop than most other sensors in the format], within the margins of error it's a more precise two stop difference for MfT. So we seem to be agreeing on that relationship [camera generations are a little beside the point because that will dictate similar differences within any given format between generations]. Those differences have diminished over recent years because the technology has matured and efficiency has arguably plateaued some time ago. Gains have been incremental since [arguably] the Nikon D3s. So why is it so complicated to talk about equivalence in terms of aperture when it's apparently easy to do so in terms of focal length? The relationship is there for DoF and it's there for noise [which means you can achieve the same exposure and similar quality by adjusting ISO up and either using two f stops smaller, or doubling shooting speed. In other words, ignoring any IS involved you are gaining two stops of light. It's simple and it's as easy to express as effective focal length. Talking about those lenses in the comparison as slower - as if you're getting less for your money - is just downright misleading. Thanks John for this excellent review. Evan_TS you have asked the killer question there. I confess I did not note it, being so ingrained to zoom first and then focus it's a point I failed to check. The lens and camera body are now winging their way back to the distributer. I will make a special note to record this detail with every zoom review from now onwards. My apologies for the omission. It's too bad the aperture falls off so quickly. If this thing stayed at f2.8 at least to 100mm, that would be huge. But at that point, the widest aperture is f3.6. I currently have the Olympus 40-150mm f2.8 PRO with the MC-14 1.4X teleconverter AND the Olympus 75-300mm II f4.8-6.7 lenses. This lens and the Panasonic 1.4X teleconverter would replace all of that for me (280mm at f5.6 is more useful than 300mm at f6.7...plus there is the option to get the 2X teleconverter and have 400mm at f8). The real drawback is not having f2.8 at 150mm. And it would open up DFD autofocus to me if I wanted to switch from an Olympus body to a Panasonic body. Decisions, decisions. It's too bad the aperture falls off so quickly. If this thing stayed at f2.8 at least to 100mm, that would be huge. But at that point, the widest aperture is f3.6. I currently have the Olympus 40-150mm f2.8 PRO with the MC-14 1.4X teleconverter AND the Olympus 75-300mm II f4.8-6.7 lenses. This lens and the Panasonic 1.4X teleconverter would replace all of that for me (280mm at f5.6 is more useful than 300mm at f6.7...plus there is the option to get the 2X teleconverter and have 400mm at f8). The real drawback is not having f2.8 at 150mm. And it would open up DFD autofocus to me if I wanted to switch from an Olympus body to a Panasonic body.